Blog — Elisco's Creative Café | Advertising. Branding. Digital. I have recently been haunted by a certain Facebook video poking fun at study abroad students. The blonde caricature student rambles again and again, “when I was abroad…” filling in the blanks by longing for every European cliché from a more relaxed lifestyle to a different drinking culture. This is a stereotype I may just fall into, but with a tiny bit of pride. This past spring semester I studied abroad in Paris. And yes, for four months I got to bask in espresso, sidewalk café terraces, and croissants galore. Sometimes clichés are beautiful. At the beginning of my study abroad program, we had a week-long orientation that included presentations on cultural and academic differences. During one of these sessions, our presenter lamented that while she loves the laid-back business style of the French, she often craves American efficiency. I have to admit that I had noticed a difference in my day-to-day activities in Paris. Things take a bit longer in France. They aren’t rushed quite like they are here—unless you’re walking through the metro. Americans really do value efficiency and convenience. We have quick meetings. We snack all day to keep from getting hungry. We don’t use all of our vacation time. I was surprised to learn there was no online portal for my university and that professors most likely would not respond to my emails within 24 hours. I was also shocked by how often my host family had off work/school for a national holiday. And then there was the food. My host family made the most delicious dinners. In the early evening or sometimes even late afternoon, the smells would begin to waft through the house. Each night we sat down at the dinner table—no take-out or rushed fifteen-minute dinner. Sometimes it was just three or four of us, sometimes all six people. And we always had an appetizer or dessert along with our entrée. While I’m at school, I barely make myself three real dinners a week—and that’s a good week. 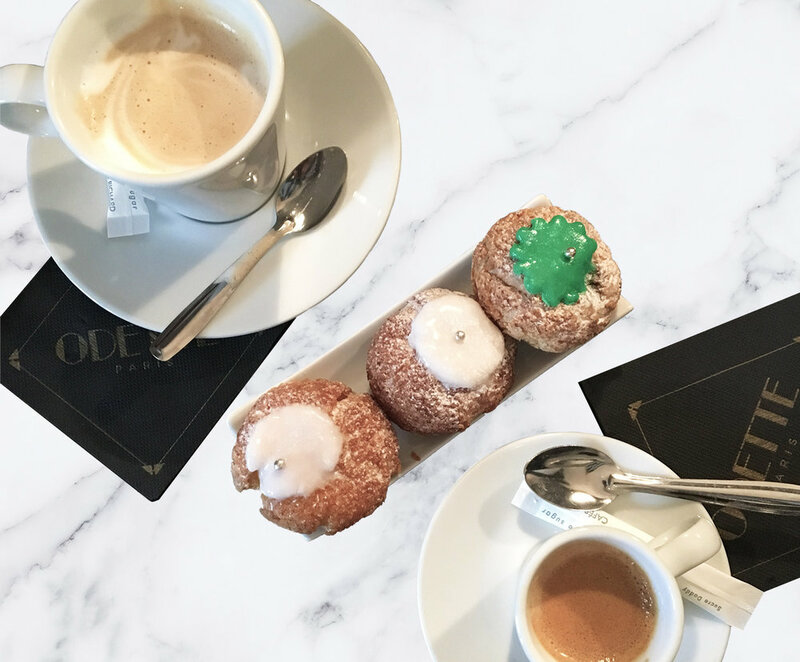 I love how people in France take the time to enjoy food, from taking hours to eat, to shopping for fresh food at specialty stores, to spending hours in a café just to have a coffee. In the majority of cafés, you don’t see laptops and people working. They just sit, talk, and enjoy their espresso or café crème. I thought a lot about which style I preferred. The truth is I like a little bit of both. I wanted to bring some of those French traditions back with me, especially when it comes to food. But would it really be possible for me to live like that in the U.S.? How would I find time to cook each day? Where even is the closest bakery? I realized that while I may be able to add some crepes into my diet, I would have let a lot of the other things go. If I have time to go to a farmer’s market, great. But the way I live at home just isn’t conducive to spending hours each night cooking and eating. I started to stress out because I realized how badly I wanted this internship. It was only one sentence, but it made me really, really excited. I realized there might be a place where I could have the best of both worlds. I enlisted my roommate’s help for my project. We spent the next few days running around Paris searching for the letters to spell out “Elisco.” Once I had photographed all six letters, I combined them into a photo collage that I posted on Facebook. A few weeks later, I was offered and accepted the position with Elisco. Sure there may not literally be any croissants, but I had found a place that had the American friendliness and efficiency I missed while in France, and also valued food like the French. We understand that food is more than just fuel, but an experience, a ritual, and an important part of life. In the Elisco office, I’m surrounded by photos of food, the people are passionate about food, and every catered lunch is wonderful. The neighborhood helps too. I can help finish a proposal template before noon and then enjoy lunch on any one of Lawrenceville’s restaurant patios. Some days the people-watching rivals Paris’. Because maybe how you get things done has less to do about where you are on the map, and more to do with what you value. A good meal doesn’t have to be sacrificed to squeeze in a meeting. Why not have both? Maybe we can forgo the formality of a corporate French lunch, but keep all of the flavor. And lucky for me, there is a French bakery right up the street. 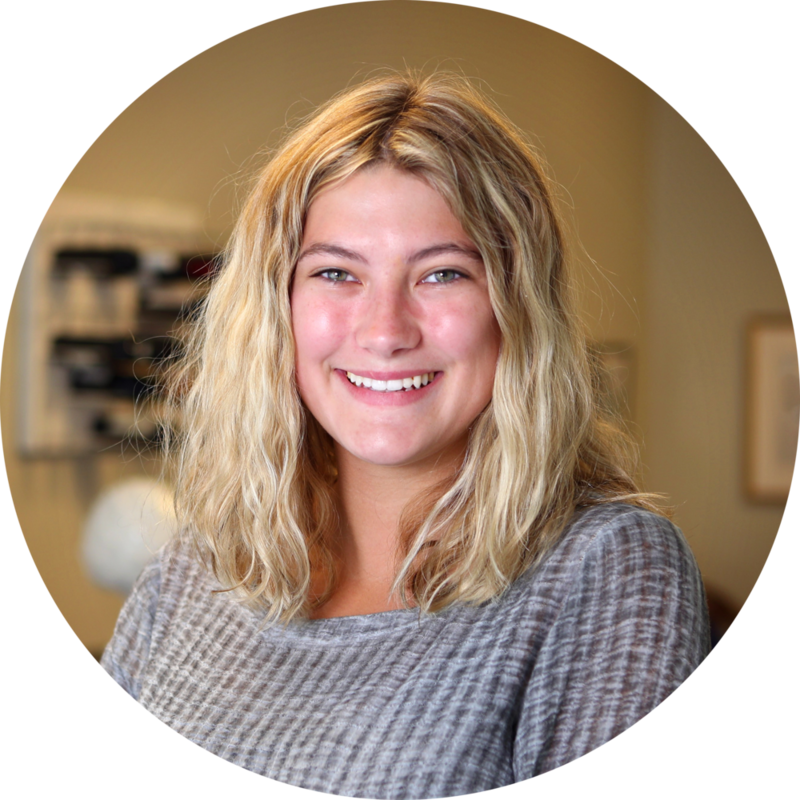 As a Strategic Communication and French Studies student at the Ohio State University, Sydney seeks opportunities that allow her to combine her interest in communications with her passions outside the classroom. At OSU, she works on marketing and campus engagement for student organizations including BuckeyeThon and She’s the First. Sydney recently studied abroad in Paris, where she was able to improve her French; she hopes to keep advancing her language skills in her future career, or simply through her love for travel. As advancements in technology rapidly push us further into the future, businesses will continue to utilize the latest tech to optimize their day-to-day functions. Artificial Intelligence systems, or AI for short, are enabling computers, gadgets, and machines to learn, think, and react to data in the same manner that humans do. AI systems are already beginning to have an imprint on the way we live. Do you remember that Uber you called last Saturday night? An AI system was used to determine the ride fare. How about the spam filter in your Gmail account? Yup, that was also a product of machine learning. Have you ever noticed how Facebook can recognize faces in uploaded photos? That’s because they taught a computer how to look for them. Don’t panic though – robots that can think and act on their own accord are still a product of fiction. However, marketing agencies are beginning to delegate some of their daily tasks to AI systems. Tommy wants people to dine-in at his pizza shop, so he creates a mobile coupon for 20% off any dine-in order. Users that fit his targeting criteria see an advertisement Saying “20% off! Dine-In at Tommy’s Pizzeria!” which can then be redeemed for a discount on dinner. You might be wondering: How does he know that the advertisement reached his target? Well, that’s because Google AdWords took care of that for him. In return, he saw a 15% increase in dine-in customers that day. While it’s not as cut-and-dry as Tommy had it, the process is simple. Marketers create their ads, place a monetary bid on the advertising space, and then add extensions (location, call, mobile, etc.). Google AdWords combines all of this information, and in real-time, creates a ranking of display ads based on which ones are most likely to result in a conversion. While the idea of a computer writing an elaborate novel with plot twists and character arcs may be years in the future, AI systems are already able to have simple conversations in real-time. Online customer service chatbots are almost entirely artificial now, allowing for nearly instant replies to customer complaints. The credibility of these bots is questionable; however, they can be used to help customers solve basic problems. It is estimated that around 20% of all business content will be machine-written. Google has taken the idea of a customer service chatbot a huge step forward. Enter Google Duplex: Google’s brand-new language interpreter making its way to your Google assistant device. While Google has its sights set on a fully automated speech robot that sounds natural, and can understand and respond to genuine speech, right now Duplex is an awesome way to schedule reservations and appointments without manually doing so. Duplex uses a combination of several text-to-speech (TTS) engines to control is intonation to sound as natural as possible. It even says filler-words like “hmm” and “uhh” whenever it’s calculating its response. If you know that you’re hearing Duplex and not a human prior to listening, it’s easy to tell that a robot is talking. However, if you’re on the other end of a staticky phone in a busy restaurant, you may not even think twice about it when Duplex requests a table for 2. You can listen for yourself here. No, you don’t have to update your resume and start job hunting just yet. For every action that can be done by AI systems, a human has to oversee, analyze, and approve it. Every time an AI system is used to analyze a set of data, a marketer must interpret and apply that data to a project. For every Facebook post written by a machine, a Director of Social Media must evaluate the content, edit, and post it. AI systems, while already very advanced, are still in their infancy, and are tools that marketers can use to their advantage. Think of all this data as a foreign language and the AI system as a translator – there still needs to be humans, like the ones here at Elisco’s Creative Café, on the other end to translate to. Is this a good time to mention we’re Google certified? Joe is currently working toward a B.S. in Business Administration with a concentration in Marketing at California University of Pennsylvania. 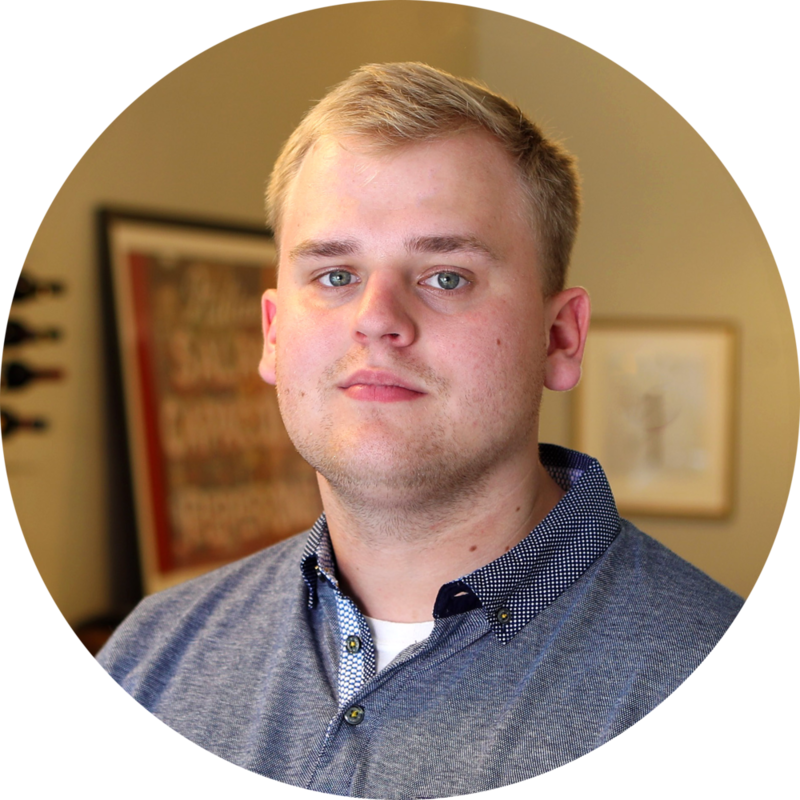 He is the President of the Student Marketing Association at Cal U—a group that he has been an active member in throughout his undergrad career. Now entering his senior year, Joe is looking to the future; he hopes to one day have a career in advertising, working in an agency setting. One part cuisine, one part conversation: Anthony Bourdain’s best recipe. Anthony Bourdain knew that the best conversations unfolded over a meal. At Elisco, we know this, too—it’s one of the beliefs that inspired our café-like office where advertising is always made from scratch. As an office full of creative minds who love food and the conversations that come with it, we were saddened to hear that Bourdain—a fellow food-lover and creative—had passed on June 8th. In his 11-season run as host of CNN’s Parts Unknown, Bourdain sat, dined, and spoke with a myriad of people: chefs making names for themselves in oft-forgotten American cities, local residents in far-flung corners of the globe, small business owners in the Bronx, and a certain Mr. Barack Obama. More often than not, these conversations brought forward issues that aren’t candidly discussed in the mainstream media. For example, while traveling through Jerusalem, the West Bank, and Gaza, Bourdain spoke openly with citizens on both sides of the Israeli-Palestinian conflict. In Massachusetts, he explored the opioid epidemic that has taken hold of New England while also speaking frankly about his own history of addiction. Following an episode in Iran—a nation which most westerners know little about, despite its prominence in our newspapers— Bourdain wrote, “Nowhere else I’ve been has the disconnect been so extreme between what one sees and feels from the people, and what one sees and hears from the government.” In this way, Parts Unknown became an easily digested and well-disguised public service announcement that allowed viewers to eavesdrop on meaningful conversations from halfway around the world. Bourdain spent the beginning of his career as a cook toiling on the lines of New York City’s top-rated restaurants, and still, was able to maintain an unwavering belief in simple food. Parts Unknown was made genuine by Bourdain’s inclination to seek eateries off the beaten path. Ever a fan of the 24-hour diner, Bourdain preached the virtues of street food, imbibed in dive bars, and shared a $6 meal of noodles and beer with Barack Obama. For all of the unfamiliarity featured on Parts Unknown, these modest locales gave the show a grain of humility, and endeared viewers to its host with the implication that you, too, can eat like Anthony Bourdain. Bourdain visited our home city of Pittsburgh in a Parts Unkown episode that aired on CNN in October, 2017. The saga of Pittsburgh is a familiar one: an industrial town enjoys a period of intense prosperity in the early 20th century before falling into economic collapse in the late-1980s. In recent years, however, we’ve been able to enjoy Pittsburgh’s renaissance first-hand. The city’s slow but steady revival is due in part to the introduction of big tech names to the area—not to mention its cultivation of a nationally-recognized arts and culinary scene. Parts Unknown: Pittsburgh adhered to Bourdain’s “simple food” philosophy— while in town, Bourdain skipped Pittsburgh’s more familiar establishments, such as Primanti Bros., and opted instead for under-the-radar joints in the Hill District and East Liberty. In a nod to Pittsburgh’s more refined fare, he also shared a meal with notable Pittsburgh chef Kevin Sousa at Sousa’s restaurant, Superior Motors, in Braddock. The episode was met with mixed criticisms from those who know—or have always assumed to know—Pittsburgh. Some felt that the show laid too heavily upon Pittsburgh’s gritty past, rather than highlighting the strides the city has taken to reach its glowing present. Others felt that the critique was fair for a city that seems all-too-eager to move forward, regardless of what or who may be left behind in the process. Even still, in this dispute, Bourdain’s segment on Pittsburgh achieved what his work has always set out to do: encourage people to step outside of themselves and look at the world around them. For that reason, the episode—not to mention the show, and Bourdain’s career as a whole—should be regarded as an overwhelming triumph. Bourdain created a media phenomenon using three simple ingredients: a passion for food, a talent for storytelling, and an innate ability to get people talking. It seems especially pertinent now, after his passing, to ask ourselves how we can take these same ingredients and create our own recipes. At Elisco, talking and eating comes naturally for us—and if we’ve learned anything from Anthony Bourdain, the stories should only follow. With simple food and genuine curiosity, not only can we eat like Anthony, but we can live a little bit like him, too. 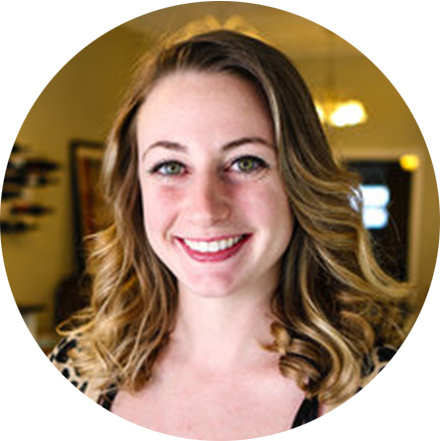 Theresa is a senior at the University of Pittsburgh, where she is pursuing a B.A. in Writing and Communication, with a concentration in Digital Media. 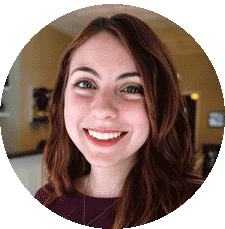 Theresa has studied abroad in London and Prague, where she took courses in literature, art history, and new media. An intrepid traveler and avid photographer, Theresa uses a culmination of her personal and professional experiences to improve her craft and develop her style. Is geofencing right for your business? As digital marketers, we are always looking for the next best thing. Our clients are too! But just because something is the “next” thing doesn’t always mean it’s the “best” thing for your business. That’s why it’s important to be strategic about which types of digital marketing tactics and channels are used to grow your business. For those who are new to the world of digital, it may be hard to navigate all the different types of digital marketing tactics, so we thought we’d start off with one that we’ve received quite a few questions about lately: Geofencing. 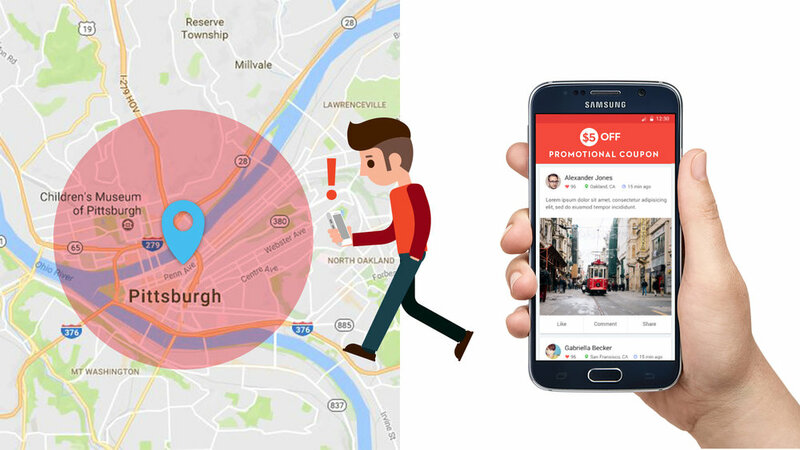 Geofencing is a location-based service in which an app or other software uses GPS, RFID (radio-frequency identification), Wi-Fi or cellular data to trigger a pre-programmed action when a mobile device or RFID tag enters or exits a virtual boundary set up around a geographical location, known as a geofence. To make use of geofencing, an administrator or developer must first establish a virtual boundary around a specified location in GPS or RFID-enabled software. To do so, the “fence” must be specified using APIs (application programming interface) when developing the mobile app. This virtual geofence will then trigger a response when an authorized device enters or exits that area, as specified by the administrator or developer. A geofence is most commonly defined within the code of a mobile application, especially since users need to opt-in to location services for the geofence to work. Send location-relevant content to mobile users based on their current or recently-visited location, to drive their engagement with the app. HOW IS GEOFENCING USED IN DIFFERENT INDUSTRIES? Retail: Sending promotional messages as shoppers pass by a store to drive visits. Automotive: Retargeting users that have visited a car dealership (yours or competitor’s). Airline: Upselling flyers with fast-track services as they walk in the airport. Mobile payments: Reminding users of places where they can pay as they visit them. Hospitality: Capturing feedback shortly after visitors step out of the hotel. Travel: Enriching user profiles with traveling history to supercharge future targeting. Coffee chain: Giving discounts to returning customers to build loyalty. Online store: Geo-conquesting competitors locations with deals to lure customers away. IS GEOFENCING RIGHT FOR MY BUSINESS? As with everything, geofencing may not fit every company’s mobile marketing strategy. If a marketer can relate themselves to one of the examples below, it’s most likely a fit. My company has brick-and-mortar locations, such as retailers, food & beverage chains, airports, airlines. My company has a strong connection to brick-and-mortar locations, such navigation platforms, travel guides, online retailers with offline competitors. Uber uses geofencing at LAX almost as a defensive measure. That's because private hire cars from networks like Uber aren't licensed to pick up passengers at this airport (apart from the app's luxury service, which is commercially licensed and insured). Therefore, Uber uses a geofence outside of the pickup area, where drivers can wait for fares. When someone walks into Uber's geofence, they will get a notification that says "Welcome to San Francisco. Would you like us to pick you up? There are currently three cars near the airport." A retailer might draw a geofence around its outlets to trigger mobile alerts for customers who have downloaded the retailer’s mobile app. In these cases, a geofence that is managed by the retailer is programmed into the app, and users can opt to decline location access for the app. When a customer walks into the geofence, they will receive notifications informing them of certain promotions happening that day. Taco Bell’s app is a crucial tool in their geofencing marketing plan. Its mobile ordering feature entices users to download it. With the app in place, hungry customers can order from their phones and then simply go pick up their food – no wait. After customers have downloaded the app, the restaurant utilizes geofencing as a way of targeting people under 30 years old with push notifications whenever they are in the vicinity of a Taco Bell. A quick reminder that they can order food from their phone and pick it up two miles down the road was a great way to appeal to the “Want it Now” generation. Starbucks often uses geofencing to remind customers of new drinks and promotions. Anyone who has downloaded the app and opted-in the location services can be targeted through geofencing. The customer just has to walk into the geofenced area, and they will receive a notification from Starbucks on their phone enticing them to stop in for a coffee. As Media Buyer, Jordan works with all things media to negotiate, purchase and monitor advertising space and airtime on behalf of clients. Prior to Elisco, Jordan worked for Renda Broadcasting - WISH 99.7 FM as an Account Executive, where she managed advertiser accounts and sold radio. She is a graduate from the University of Pittsburgh Greensburg with a B.A. in Communication and Visual and Performing Arts, with concentrations in Media Studies and Theatre. With an average height of 5’ 4.5”, shoes on, Elisco is Pittsburgh’s shortest agency. Admittedly I’m the shortest of us all, so it’s only fair that I take on the topic of agency size. It’s an important factor in the advertising industry from both client & employee perspectives. Should a small agency boast their numbers or downplay them? At Elisco, we know where we stand: about 2” below the national average & 7 people strong. Short jokes aside, Elisco’s Creative Café is a PA certified small business. It’s something we take pride in & use to our advantage on a daily basis. Actually, our café atmosphere couldn’t exist without it. By definition café’s are small in a cozy & inviting way. It’s an environment that fosters shared ideas. The lines between departments are grayer, the faces friendlier, & the desks closer. Because of this setup, our favorite campaigns are born when the media buyer sits in on a creative meeting or an account executive pitches in on copy. From the employee side, the collaborative process is rewarding. Our input is valuable for every project & we’re encouraged to be well rounded in our fields. The outcome? Clients get the best. Another pro of choosing the little guys is you’re always working with their A team. You never have to wonder if your project is getting tossed to the B, C, or even D teams…because they don’t exist. Every job gets the attention it deserves from each one of us. Our size allows senior members of the agency to be involved & up to date with all clients. Pointing out the positives of our “piccola agenzia” is a must. John Caruso, our new business giant of 5’ 9”, would say it’s particularly true with potential clients. “Are you big enough to handle our account?” is a question he faces frequently. Even if they don’t say it, they’re thinking it. Better to address it & prove that we measure up. Laura is a graduate of California University of Pennsylvania where she earned a B.S. in Graphic Design. While at Cal, she led the campus’ vanguard student-run design firm Studio 224. Laura is a member of Pittsburgh’s AIGA chapter. When you’re looking to build a strong business or organization, solid logo and branding design is a must. It’s an entire package, not just a small mark. In most cases, it will be the first thing your customers or clients see when they come across your business. There are a number of concepts floating around about what a logo really is. If we were to ask people what a logo is, they would have a number of different answers, but they would all probably be right in one way or another. The reality is, there are a number of different types of logo “marks” you could utilize for your business. This type of logo represents the company in a simple but bold manner. In most cases, the image is abstract and stylized to give visual interest. Most companies that use this type of logo will have a very simple main logo, but may choose to create additional alternative versions that appear a little more prominent. The human mind can easily remember a simple form much easier than a complex one. It’s best to use a simple symbol or icon if you plan on building a large business. You probably recognize symbol logos like Apple, Target and Nike. These are uniquely styled text logos that spell out the company or brand name. Many times, custom fonts are created specifically for brands to use across all their marketing and branding collateral. Some examples include Coca-cola, Disney and Google. Lettermarks are exclusively typographic. They use a symbol representing the company through the use of its initials or the brands first letter. Many companies choose to use this type of logo because their initials can graphically illustrate the company better than the full name (name is too long), the name is hard to pronounce, or it’s just not distinct enough to carry its own weight. Some companies and organizations that use lettermarks include Cable News Network, Home Box Office, and General Electric. These logos combine a wordmark and a symbol or icon to give the flexibility for the use of either or both elements across a variety of applications. A well-designed combination mark looks just as good with the elements separate as it does with them together. You might recognize some combo marks like Dunkin Donuts, Adidas and Sprint. An emblem logo encases the company name within the design. Some examples include Starbucks, the NFL and Harley-Davidson Motorcycles. 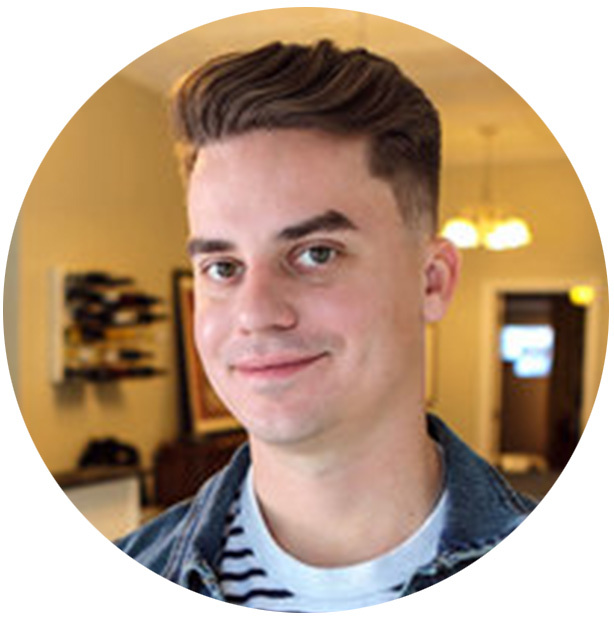 Clint is an award-winning art director and videographer. He has created memorable work for national brands including Bayer Healthcare, Victory Motorcycles, Joy Ice Cream Cones, and the University of North Carolina at Chapel Hill. Before joining Elisco, he worked in Charlotte at Tattoo Projects. Clint earned his B.F.A. in advertising from the highly regarded Savannah College of Art and Design in Georgia. Clint has won a variety of awards including Telly Awards, Addys, and an Aster Gold. John Caruso is in charge of our agency’s business development. A lifelong outdoorsman, cook, winemaker, gardener, as well as an overall nice guy, John brings a unique approach to our business development. Part of our agency’s strategy as a Creative Café is to bring together like-minded creative people who share a passion for life. In this blog post, John will share some of his correlations between his love for the outdoors and how it applies and benefits the agency's business development. I have been fishing as long as I can remember. My grandfather and father both were avid outdoorsmen. So as a tag along with them I was exposed at a young age to an affordable and easily accessible activity in fishing. I didn’t start fly fishing until about 2006 when I was 18. A group of my friends and me went on a trip to Erie, PA to fish for steelhead, a large strain of trout that is stocked in The Great Lakes. Over the two days, we observed and talked with multiple more successful anglers who were fly fishing instead of the traditional spinning rod setup. After that, all of us realized that we had the wrong gear, and dove in head first to the world of fly fishing with the hopes of emulating their success. Is it difficult to learn? What would you tell someone who is interested in starting? Yes, it is certainly more difficult and daunting to start. I think it is very similar to starting a new sales job, especially in a new industry. You definitely don’t know everything, so the best approach that I have found was to just jump in and start. Pick up a rod and some gear, read, ask people questions, there are always other people looking to help and share in your success. The most important of all is listening. Listen to those people who have been doing it, and apply it. Before you know it, you are getting results and adding your own tweaks and lessons. Also, don’t forget that you are never done learning. Two of my friends ended up guiding at lodges in Alaska, they are still learning and applying new techniques. It’s fishing, not catching. Just like sales, the excitement for me is usually in the pursuit. The journey of learning, and figuring it out is the most fun. Obviously, at a young age, you want to just catch fish and it is more about the number of the fish you catch. As you get older and more mature, it is definitely more about the technique. At first, I only bought flies from shops and friends who tied them. Now I bought the materials to tie my own because the thought of creating something and then seeing the success of it is so much more rewarding. The biggest investment in fishing is time, you spend hours preparing and sometimes casting unsuccessfully, but in that time you learn, and also get a moment to think without distraction, which is very attractive to me. It is the first 75 degree spring day, the sun is shining and bouncing off the water like a prism. The water is ice cold from a mountain spring, the sun is just warm enough to make you uncomfortable in a long-sleeved shirt. All you can hear are birds chirping and the low noise of the water bouncing by over the riffle. You cast continuously with your favorite fly as you reel in trout after trout. You think about the fantastic sandwich and kettle chips back in cooler in the car nestled in next to the Coors Light, but if you leave to go and get it, you might lose your spot. Now doesn’t that make you want to go fishing haha? What would you say is the biggest connection between fly fishing and business development? I think the biggest thing in both is to stay curious and to stay passionate about what it is you are doing. Fly fishing isn’t for the faint of heart. If you are going to do it, give it your best effort. You have to be willing to do the work, the preparation, and make changes on the fly, sorry for the pun. There is so much in agency business development that is relatable. You have to prepare accordingly, you have to make multiple casts and calls that are unsuccessful, and you have to catch and handle the smaller fish in hopes that eventually it will help you catch a big one. My favorite comparison to fly fishing is that you have to bend over and flip over the rock to see what bait you need, the answer is often right there at your feet, but you have to be willing to bend over and get your hands dirty to get the answer. Absolutely! Some days are good and some days are less eventful. Some days you land a lot of fish or a big fish, and some days they get away. Just like advertising, you definitely pitch a lot, and that means you often lose those pitches. I think the education in both experiences is frustrating, but it is a constant reminder to learn from the mistake or loss and move forward to making the next cast. What is your favorite part of fishing? My favorite part by far is the time spent with friends and loved ones doing something you enjoy. I think this translates so much into your professional life. If you are going to spend a large amount of time and commitment doing something, make sure you are doing it with people you enjoy and share the same passions with. Some of my favorite times are memorable experiences with the people instead of the actual success. What else would you like to say to anyone interested in fly fishing or working with the agency? If you want to learn more just let me know. I’ll be more than happy to talk with you, take you fishing, or get you a creative campaign. I might even share my Coors Light. Tight lines, and thanks for reading. John heads up business development at Elisco. His primary focus is to build awareness about the agency’s unique capabilities among prospective clients, in addition to developing and maintaining relationships with current and past clients. Prior to joining Elisco, he established and fostered supply chain management relationships at PLS Logistics. John graduated from La Roche College with a B.S. in Marketing and Business Management. Elisco’s Creative Café is seeking self-motivated students or recent grads that want to gain agency experience. Interns will be focusing on Elisco as their main client, as well as assisting on select client projects as needed. Over the years, some of the agency’s best interns have been offered full-time positions at the agency. Currently, three former interns work at the agency. The copywriting intern will work with the creative team to develop concepts and copy for Elisco and select clients. This intern will also assist with proofing copy and final art. The account management intern will work with the account team to manage Elisco’s social media accounts, as well as write briefs, press releases and proof creative. They will also help with any agency events. The design intern should have experience with InDesign, Illustrator and Photoshop. They will be assisting the creative team with Elisco social media, as well as designing and concepting. The business development intern is ideal for someone with an academic focus on business management and sales. The intern will analyze markets and help identify business strategies and opportunities for clients and prospects. They will also write briefs, press releases, proof creative and help with agency events. The responsibilities also include some prospecting in the agency’s Salesforce database. To apply, send your resume and any relevant work samples (if applicable) to Laura Shirley: lshirley@elisco.com by February 19th. Please note the role(s) that are of interest to you and let us know how you heard about this opportunity. At Elisco, we’re not just another Pittsburgh ad agency. We’re marketing communications experts serving up product and service launches and powerful branding strategies across the Mid-Atlantic.